A big thanks to the players and shoppers/cheerleaders from the Taiwan Celts who traveled to Kuala Lumpur in July for the clubs first tour of 2010! 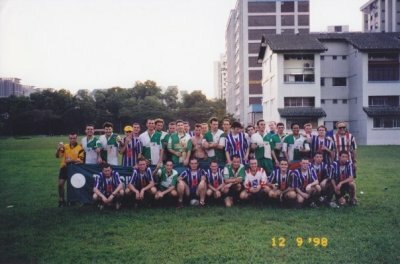 We all had a ball meeting up with the Orang Eire teams for beers in KL and of course the Gaelic football games on Saturday! Our hosts Orang Eire GAA were very welcoming and put on a really great weekend for us.